Scroll down the page for an unboxing and review video. The TFV12 Prince by SMOK is the updated offspring of the original Cloud Beast King. "Junior" is a versatile, powerful sub-ohm tank for all day use. The 25mm wide Prince features a locking slide to fill top to prevent the possibility of leaks, highlighted by a cobra resin 810 drip tip. 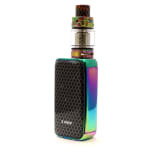 The crown style knurled cap and airflow control ring are easy to grip (even when slippery from e-liquid), and the 2mL slim tank capacity can be increased to a whopping 8mL using the included 28mm wide bubble tank! 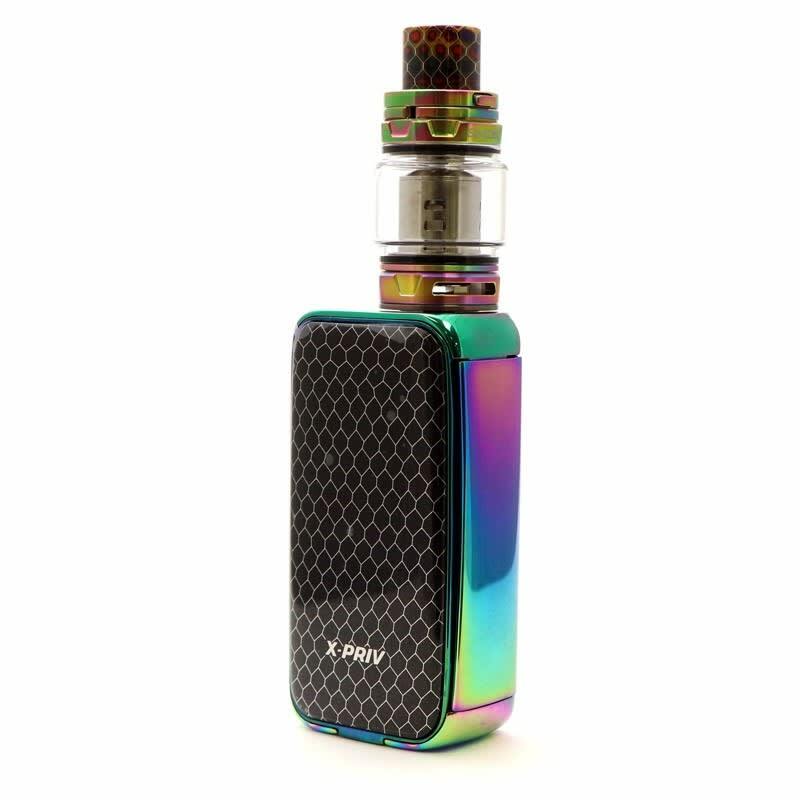 The TFV12 Prince tank also features an all new coil system with a range of options to produce thick flavorful clouds, topped by the 120W maximum range of the V12 Prince-T10 coil head. 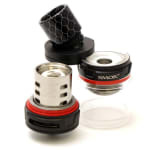 Also included is the V12 Prince version of the popular Q4 coils found with the TFV8, with an extended range of 40 - 100W. Shipment arrived nicely packed, no damage whatsoever. 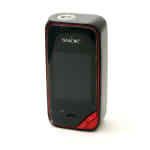 Easy to use, small, with touch screen and vapes great. I got the black model and it's more of a matte finish so if you're worried about fingerprints being all over your mod get the black one, it doesn't show fingerprints nearly as much. Order arrived in 3 days (Toronto) and everything was in good condition. 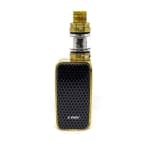 I like Smok vapes and this kit comes with a good looking TC mod. 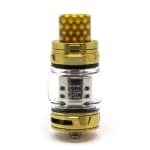 Tfv12 prince tank with huge 8ml capacity is perfect for sub ohm vaping.